This chapter gives fundamental background information about the history and development of regionalism in Southern Africa and about the current state of the SADC as a modern regional integration organisation. 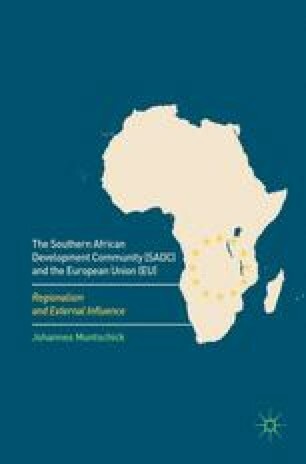 In terms of an analytical overview, Muntschick reflects briefly on the formation, character and objectives of the region’s old regionalisms such as the Southern African Customs Union (SACU), the Frontline States (FLS) and particularly the Southern African Development Co-ordination Conference (SADCC) as predecessors of the SADC. Also, this chapter turns to the new regionalism and provides detailed information on the SADC as an organisation, its member states, key agenda and central policy areas as well as its institutional superstructure and main organs.